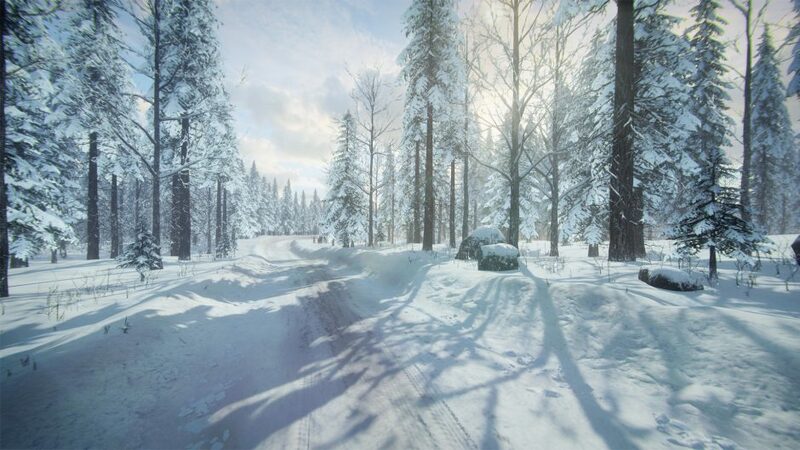 DiRT Rally 2.0: Season One, Stage Two brings Sweden Rally, the BMW M1 Procar Rally, the Opel Manta 400 and a Special Livery for five vehicles! This content will be dropping throughout April, and is available for Deluxe Edition players to download as part of their Season Pass content. Standard Edition players will be able to purchase each bit of content separately on the relevant platform store. Tomorrow sees the cars and the Special Livery arrive to the game, whereas Sweden Rally will arrive on the 23rd April. Don’t forget, Deluxe Edition players will also receive a credits drop and access to the high reward special D+ Community Events too. Just a quick note on the BMW M1 Procar Rally – final audio for the vehicle will come in next week’s patch, so don’t fret if you think it sounds a little off-key at first. We’re all over it. Aside from Season One content coming out as usual, we’re also working on Update 1.3 which, subject to all of the usual submissions, is due to land next week. Thanks to everyone’s feedback since the last update, as we’ve been able to isolate and fix some key issues, including the grip/floating car issues some users have been experiencing. We’ve also worked on preventing audio-cut outs, and have fixed the ‘Fire Up That Car… Again’ trophy/achievement. Full patch notes will be confirmed on our channels closer to it releasing, so please stay tuned over the following few days to see them surface. We’re also making some headway into tackling the FFB issues a lot of you have been discussing on our forums, channels and beyond. We’ll have more for you on that soon, but we just wanted to reassure you that it’s still top of our priority list and that we’re making progress. Finally, we’ll also be adding the wonderful Jon Armstrong’s 2019 Galway International Rally livery to the game next week! We’ll be holding a little competition once the Fiesta R5 livery is out, so stay tuned to see how that takes shape. Just in case you’ve forgotten what it looks like, here’s a handy reminder for you in the shape of the DiRT Show Galway Special! Senior Social @ Codemasters. Big fan of anything with four wheels (especially ice cream vans).